For those of you who are coming here from clicking the Tokidoki tag… I don’t really have much to offer you. 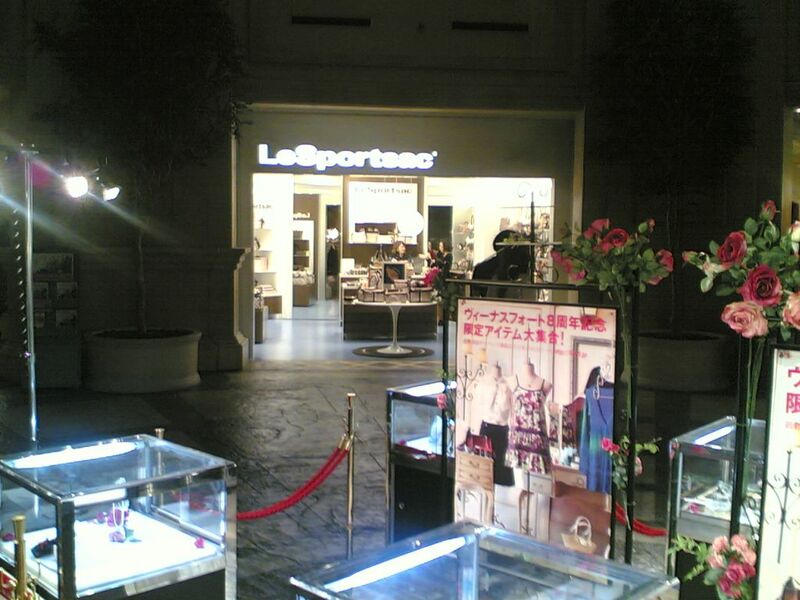 But here’s a blurry camera-phone picture of a LeSportsac store in Japan, at the frightening-to-men “Women’s Theme Park” mall, Venus Fort. As an aside – if you think Tokidoki bags are expensive in the US, they’re crazy expensive in Japan. The few I saw looked to be about 25000 yen ($210?) for bags that are about $130 in the US. Hope it brightened your day, now you can go back to looking for photos of the newest prints or something. This entry was posted in tokidoki. Bookmark the permalink.